Smart Bioscience can modify peptides in order to improve their immunogenicity via the conjugation to carrier proteins or by performing branched peptides. Conjugation to large carrier proteins such as KLH, BSA or OVA improve the immunogenicity of low antigenic peptides. Carrier proteins can be conjugated via maleimide on cysteine-containing peptides or via the glutaraldehyde method. Keyhole Limpet Hemocyanin (KLH) is a large metalloprotein, which is found in the hemolymph of the giant keyhole limpet, Megathura crenulata. 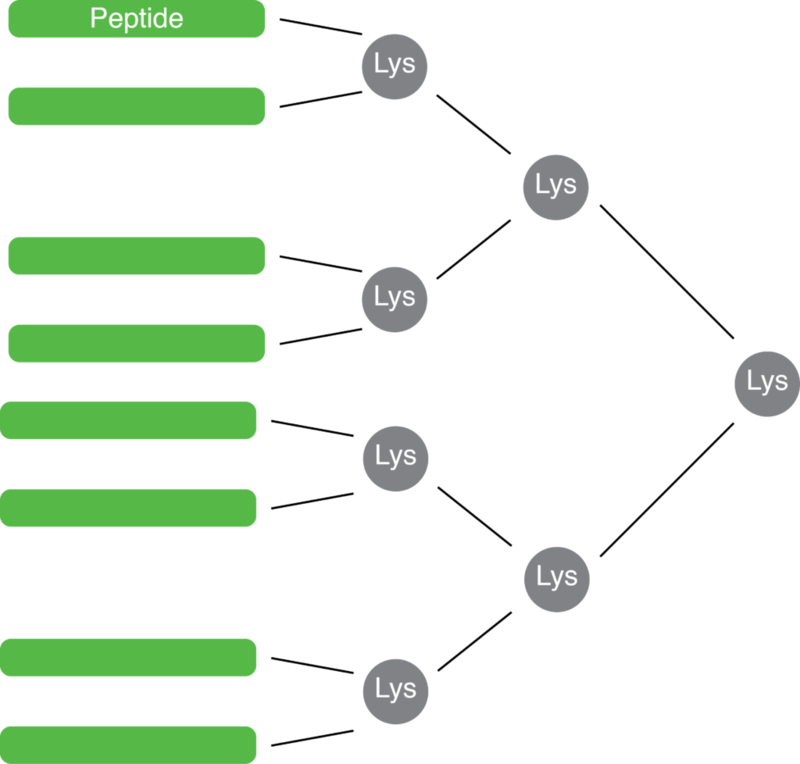 Multiple antigenic peptides (MAPs) are branched peptides generally presenting 4, 8 and 16 copies of an antigenic peptide on a multiple lysine backbone.